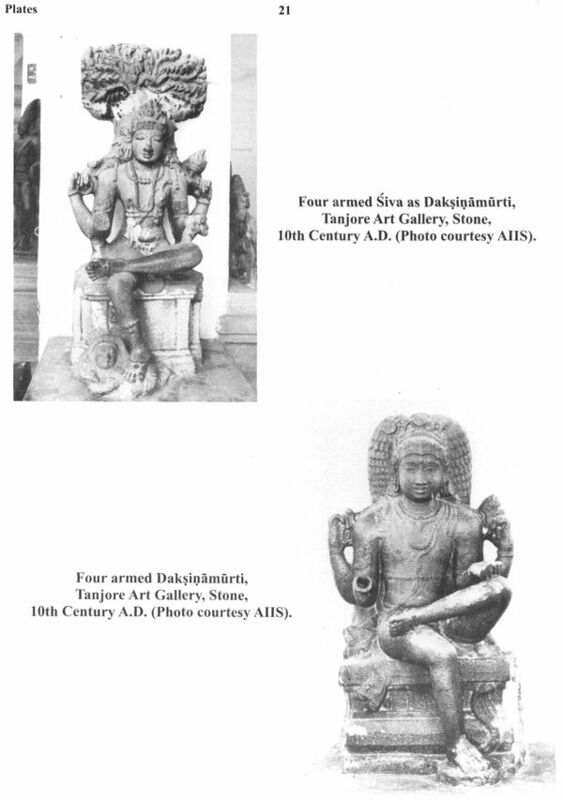 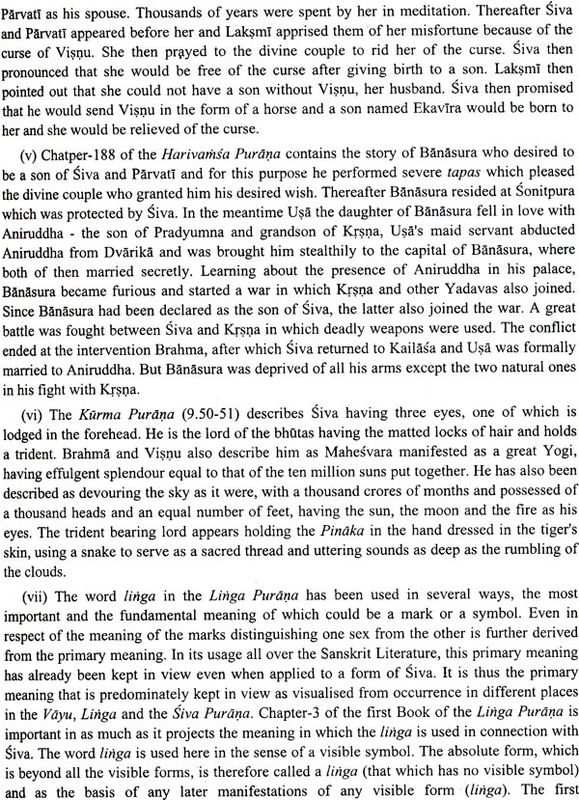 The Puranas are considered to be the pillars of the Vedic dharma comprising of Sruti. 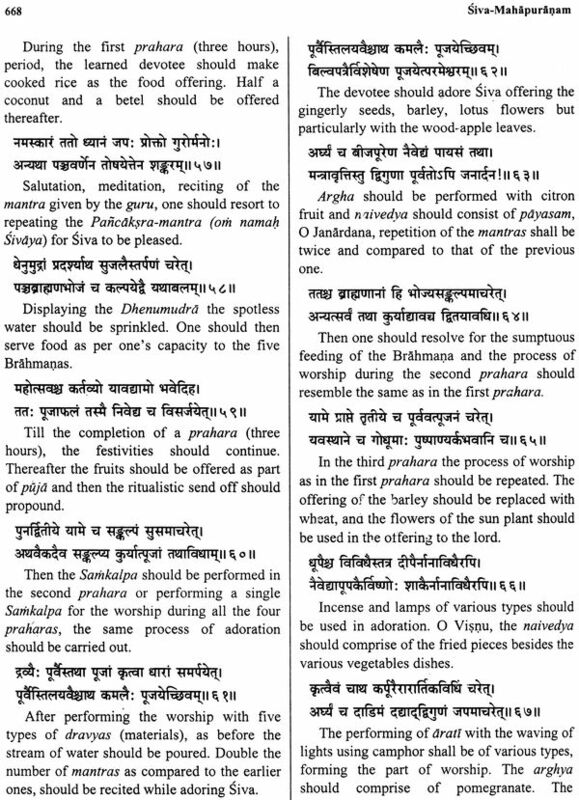 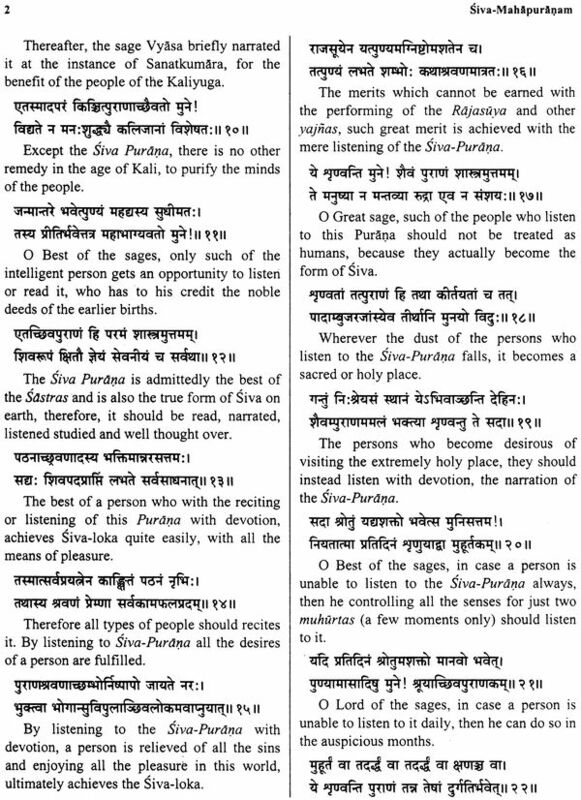 Smrti and Puranas. 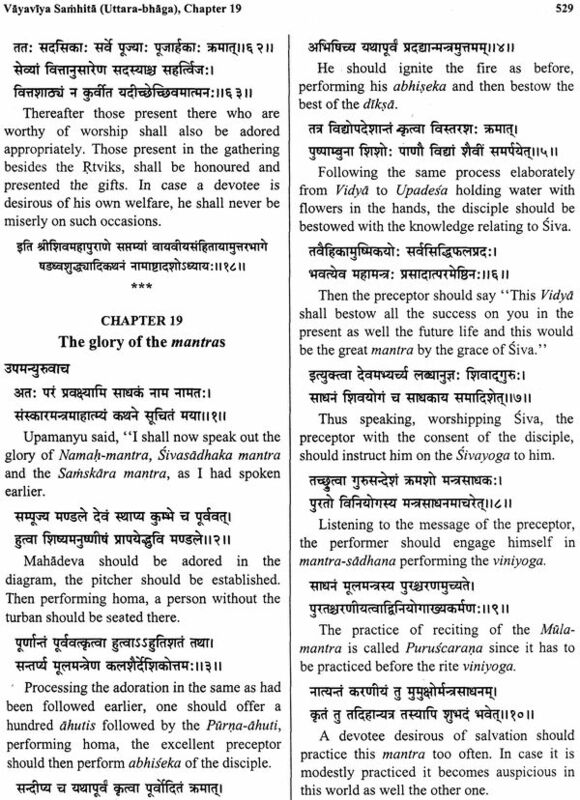 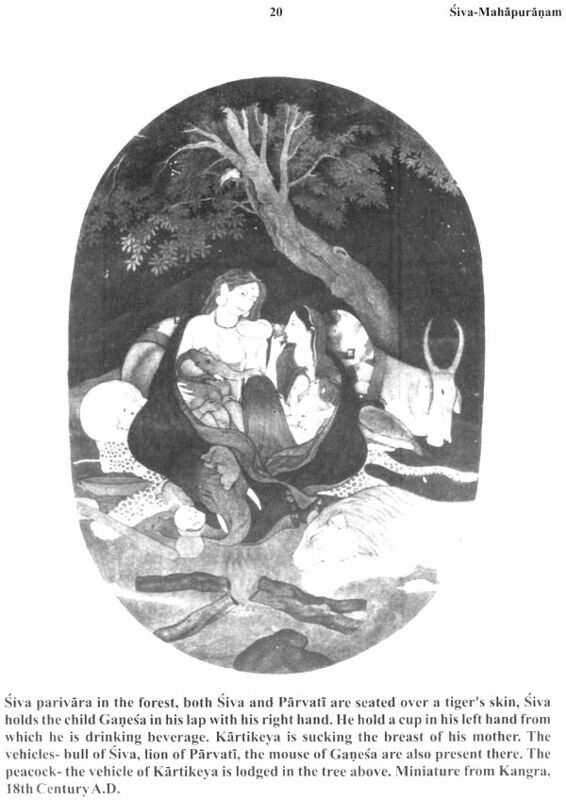 The Siva-Mahapurana is a famous one amongst the eighteen Mahapuranas. 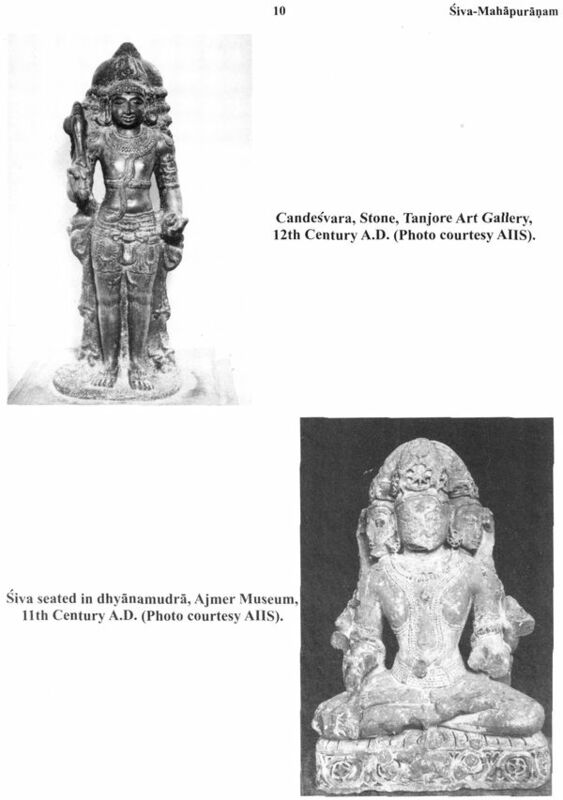 Relatively bigger in size. 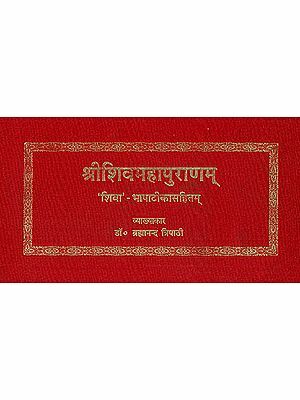 This Purana is primarily of a religious tone, dedicated mainly to the glory, various forms, their importance and valour of lord Siva. 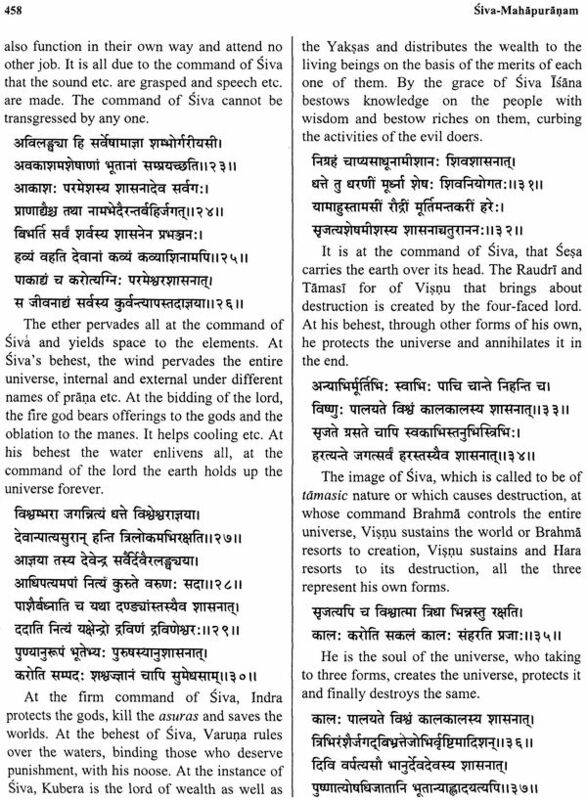 There had been certain deities, who after once appearing over the Indian Religious horizon, never lost their importance and continue here even to the present times, facing all the political, religions and other adversities. 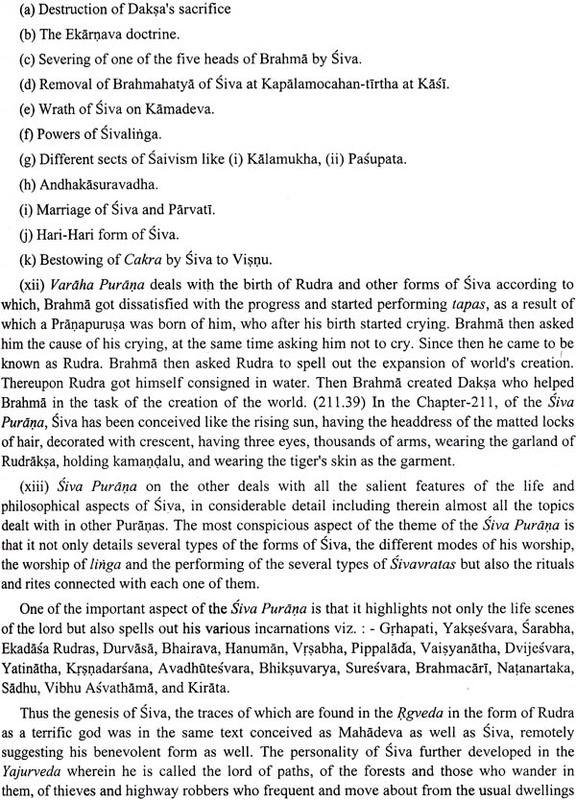 Lord Siva comes under this category, because his following never disappeared from the Indian scence after he attained the position of adoration and worship. 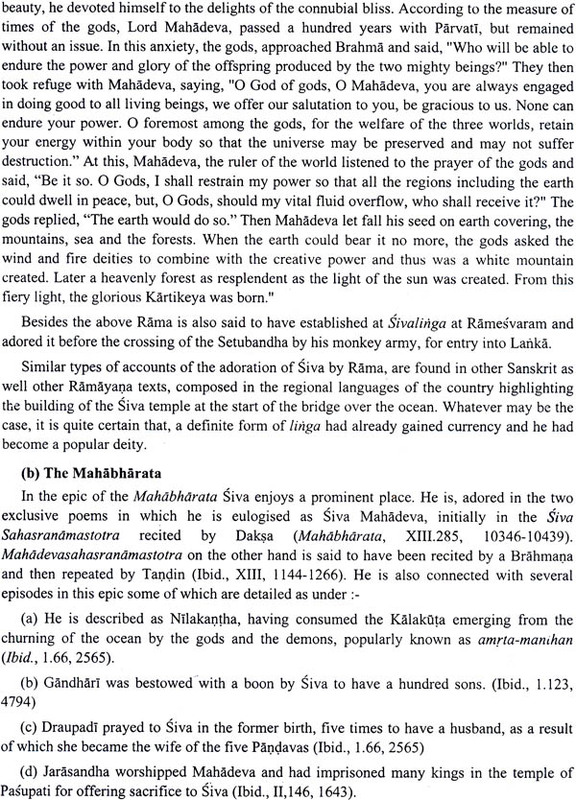 Lord Siva has always remained important among all the gods starting from the oldest scriptures- Vedas, Brahmana literatures and Upanisads to the late poets and writers of Kasmira, he has been always the mainframe of these literatures. 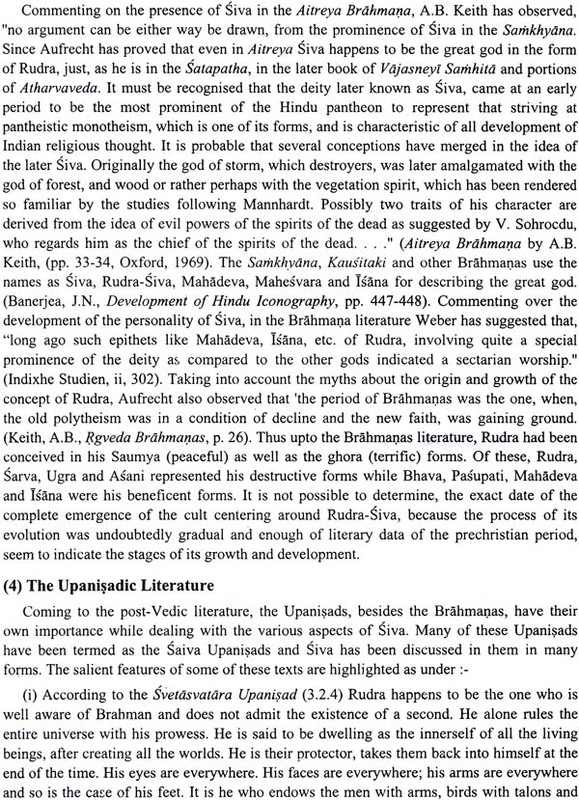 Even various philosophies emerged in the past among the followers of lord Siva. 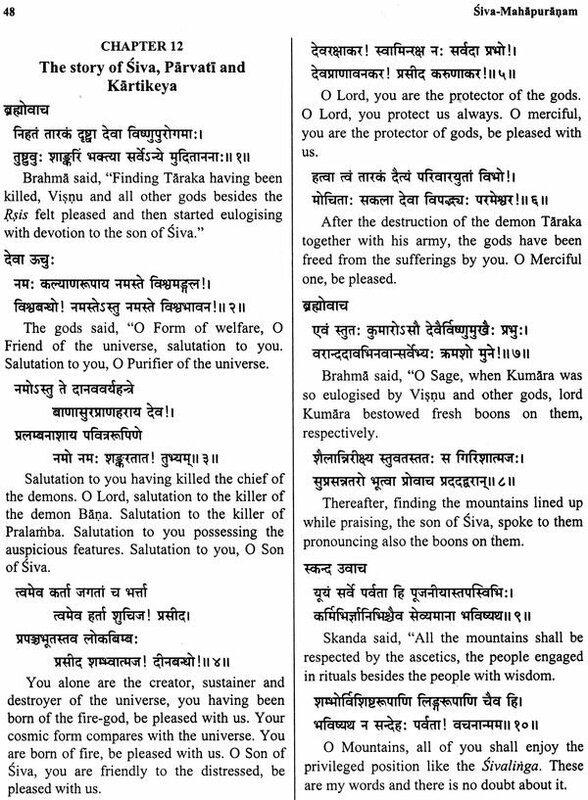 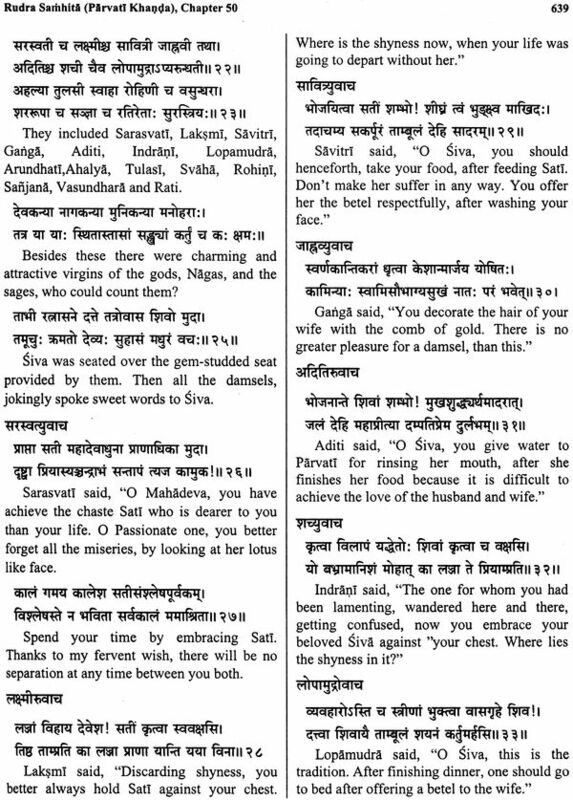 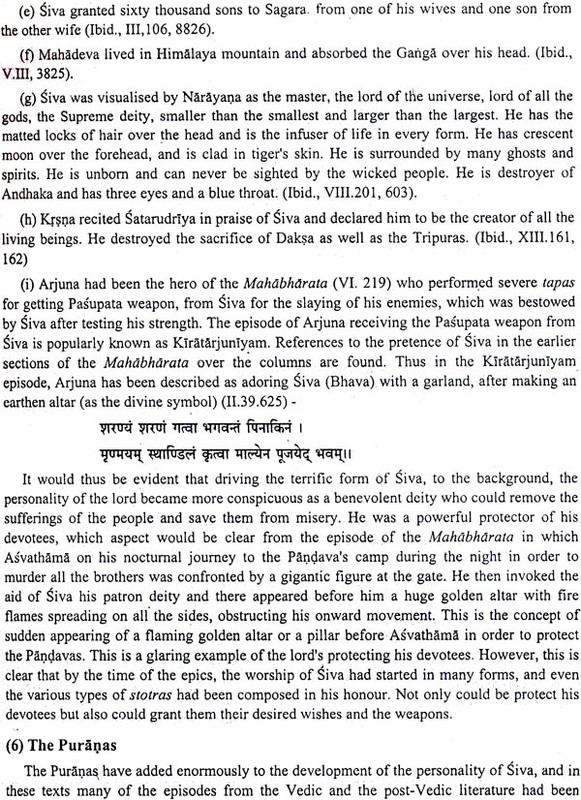 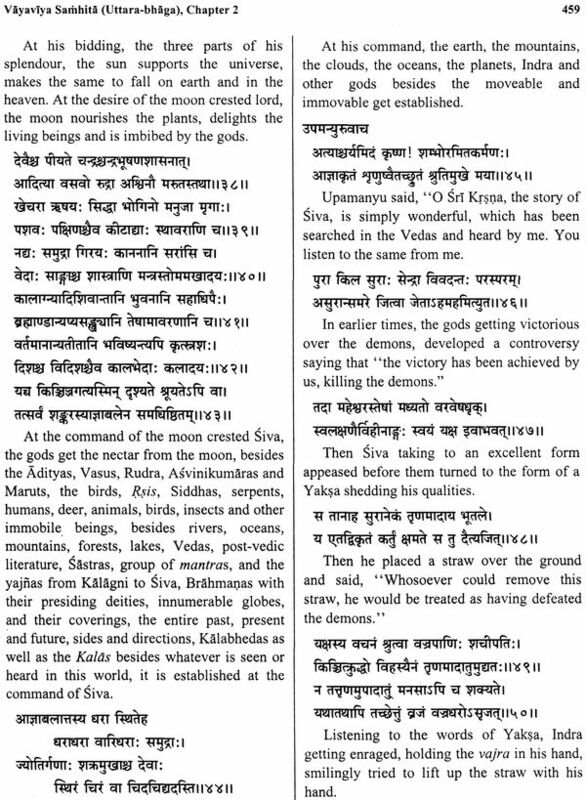 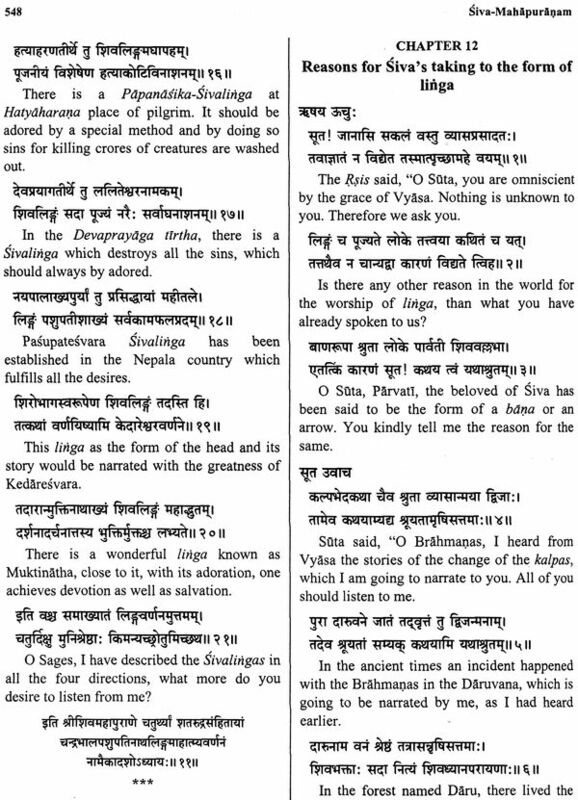 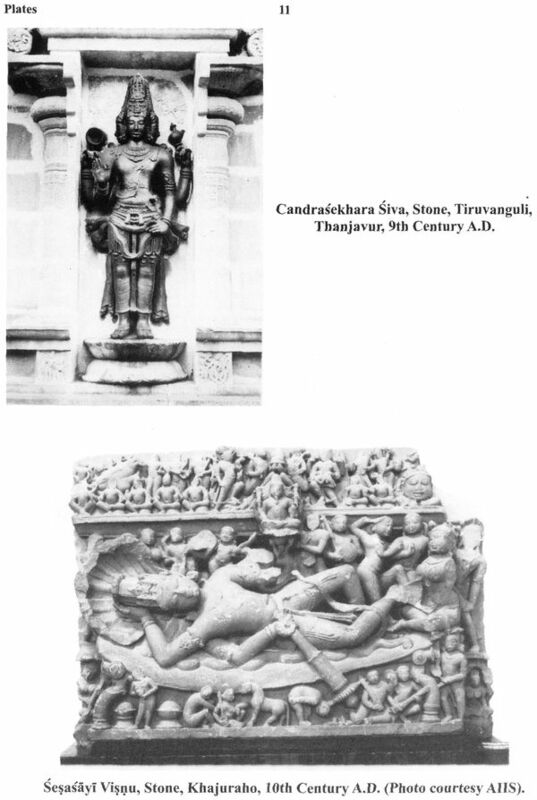 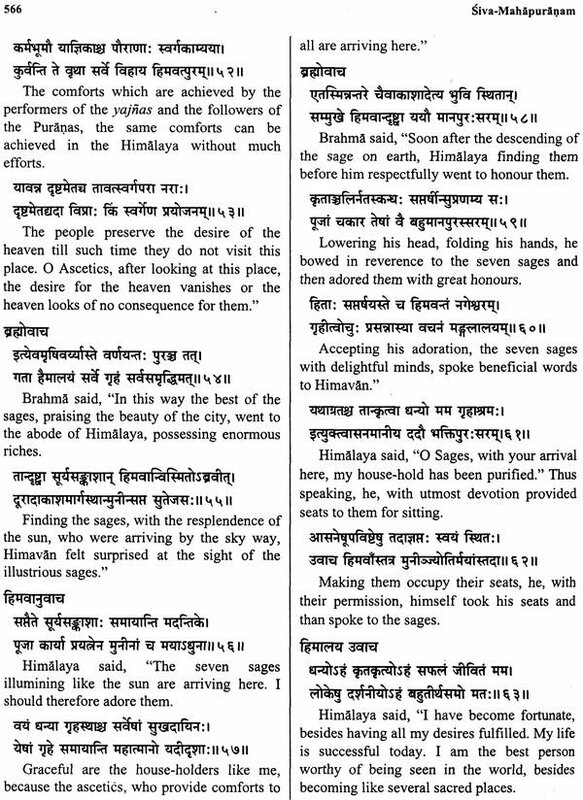 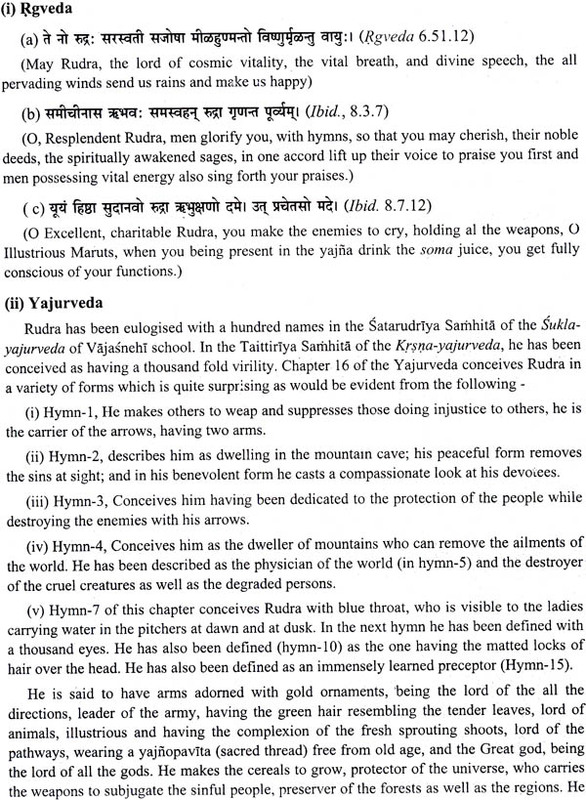 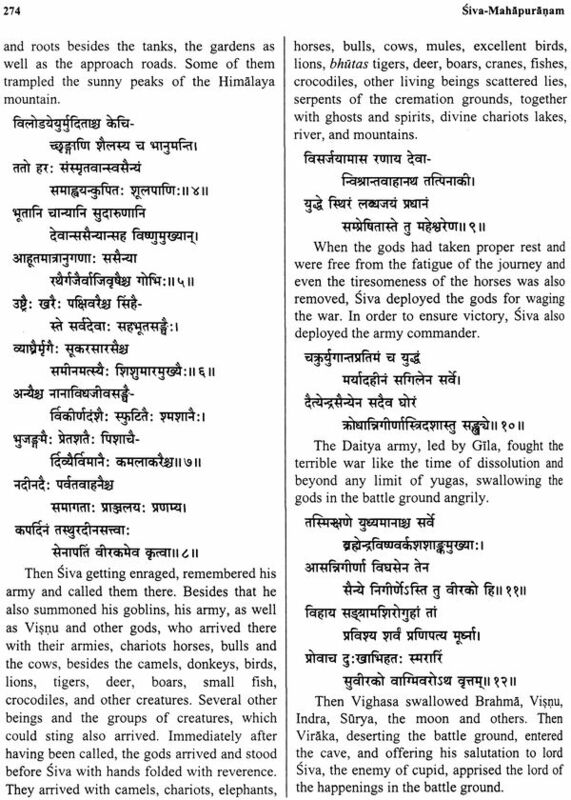 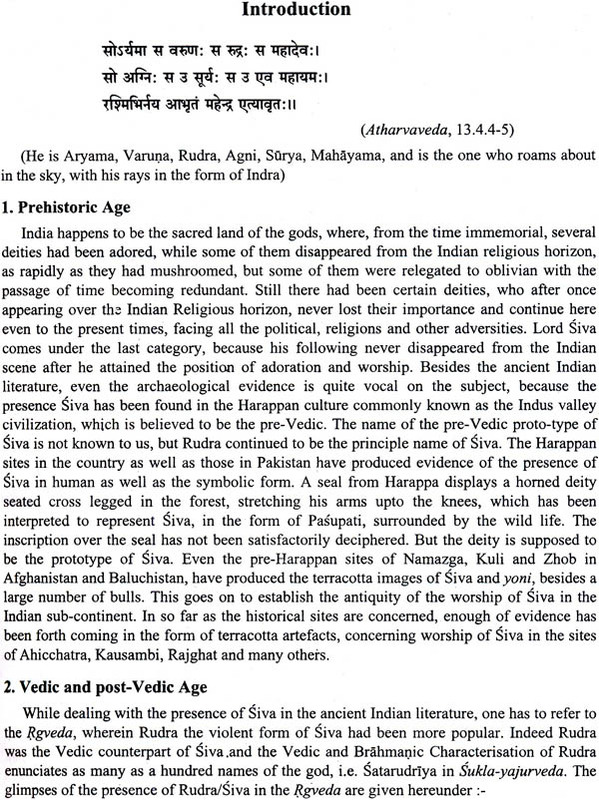 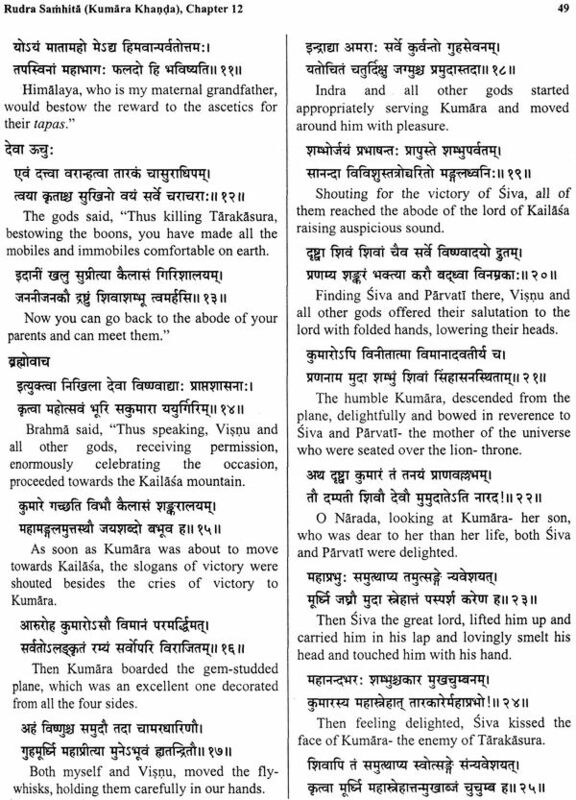 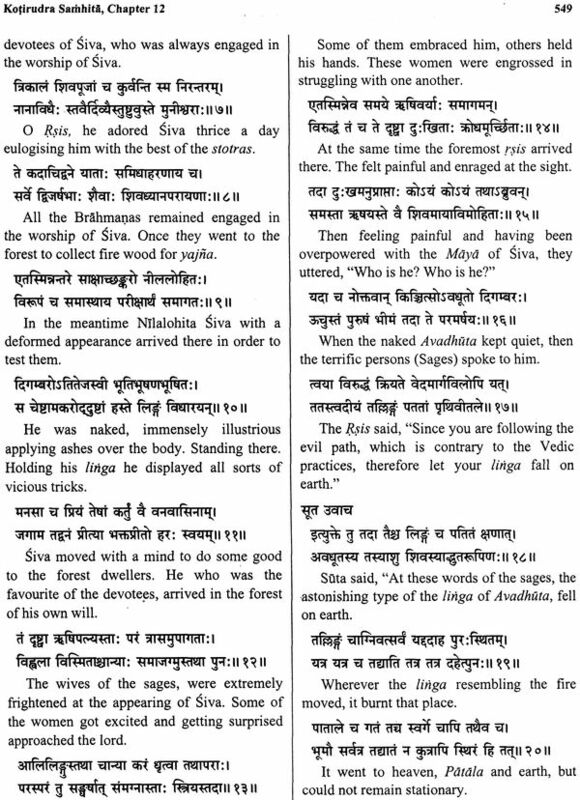 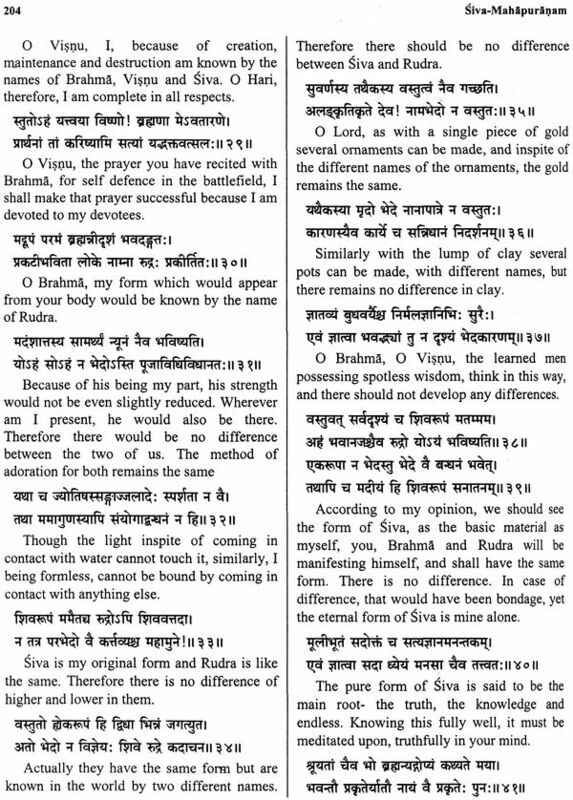 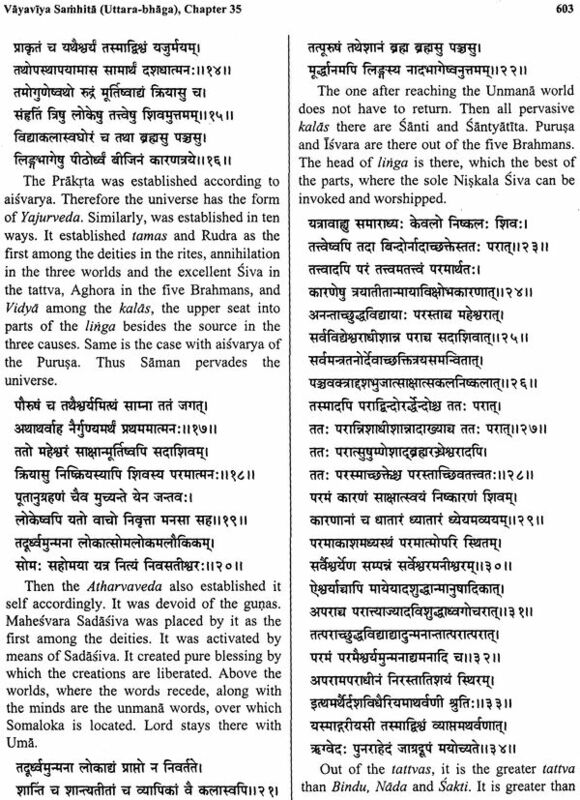 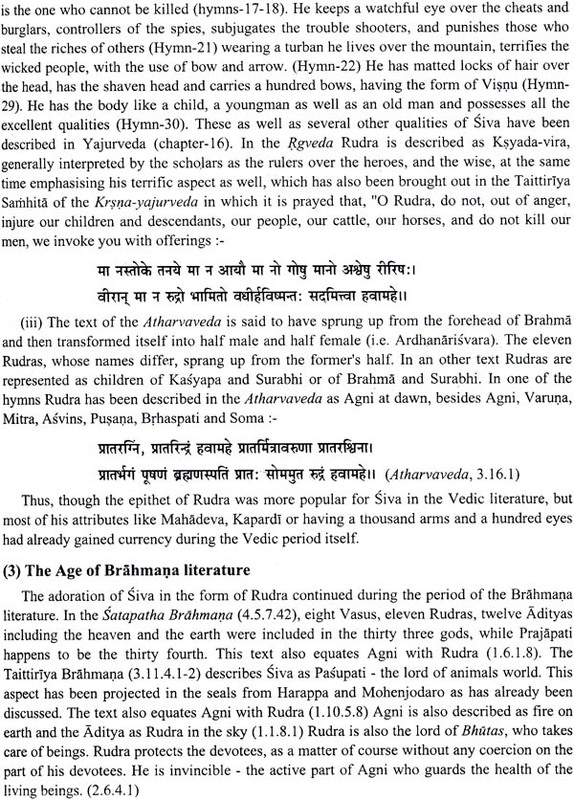 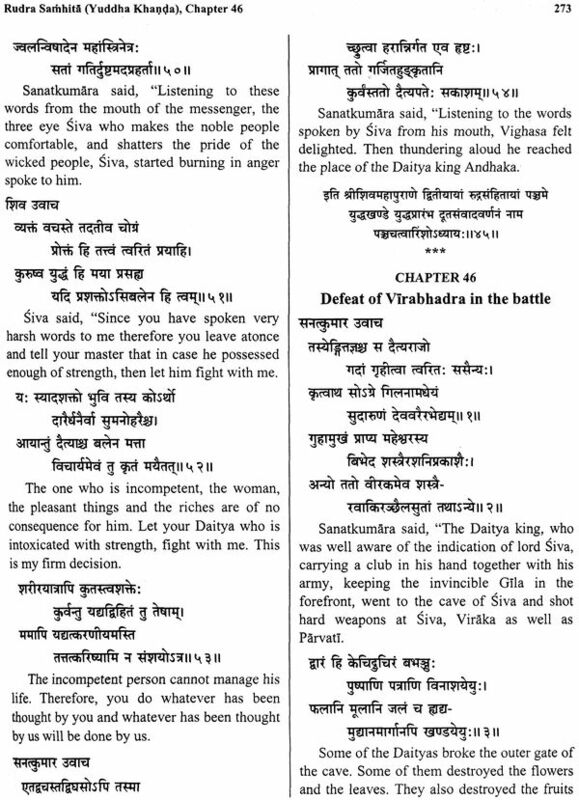 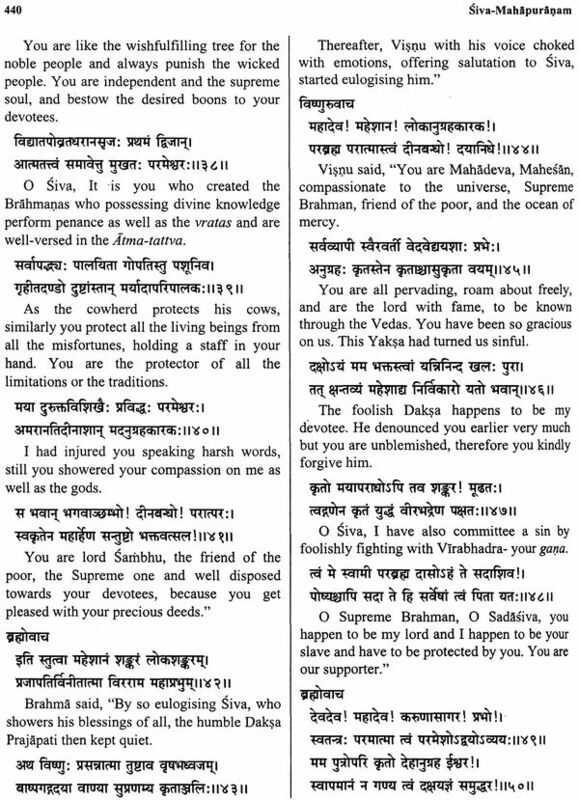 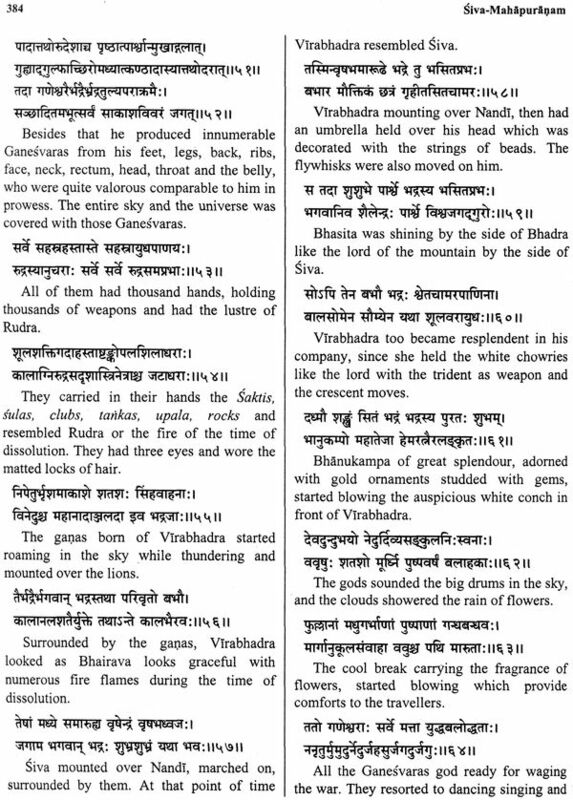 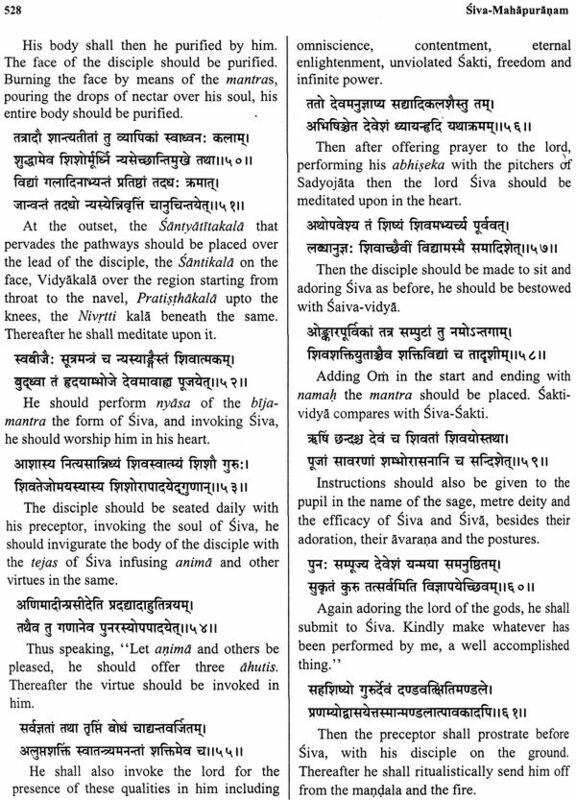 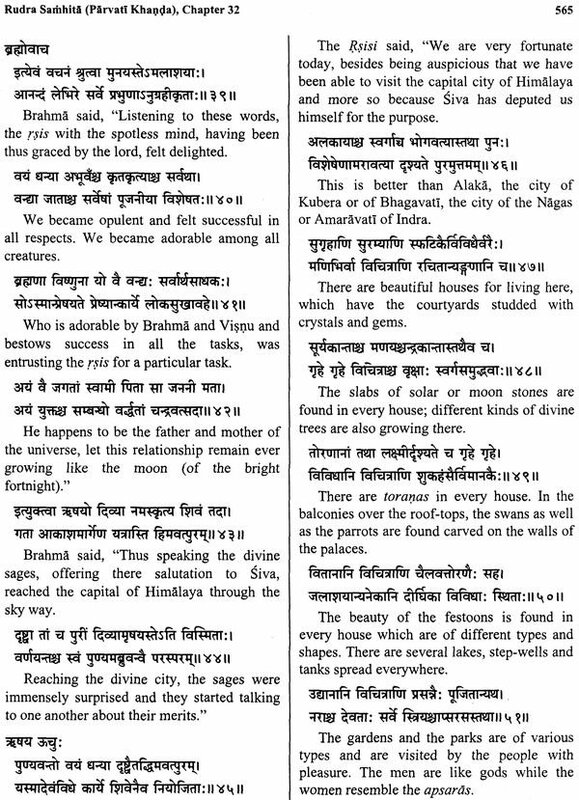 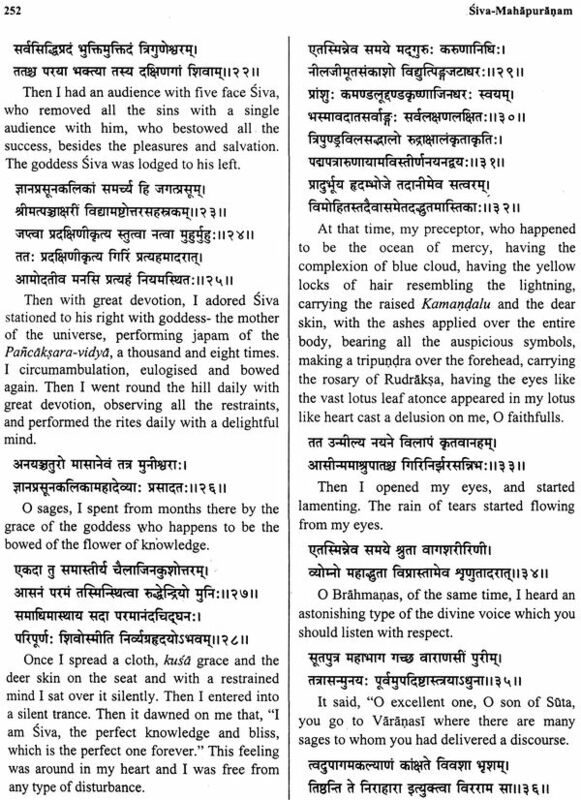 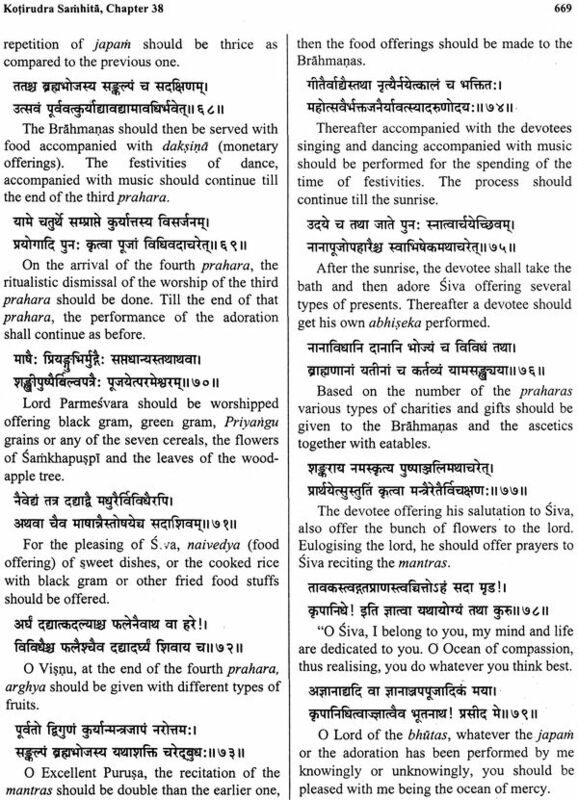 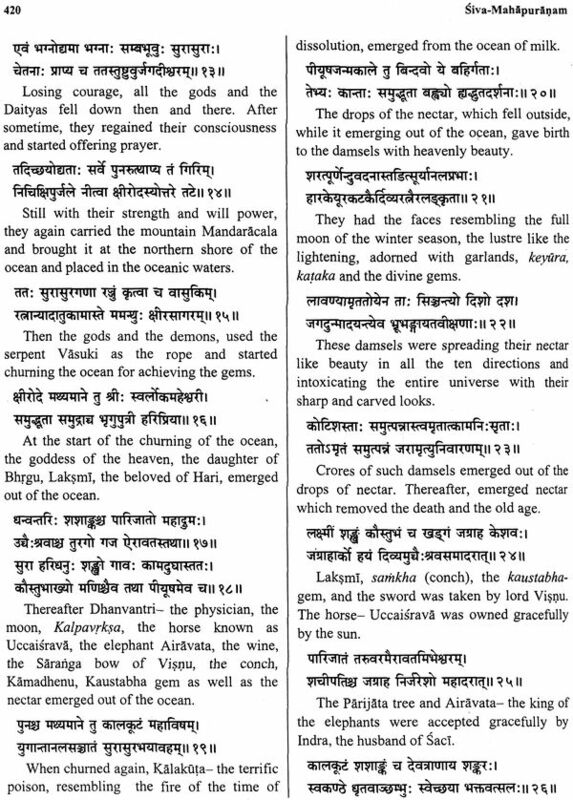 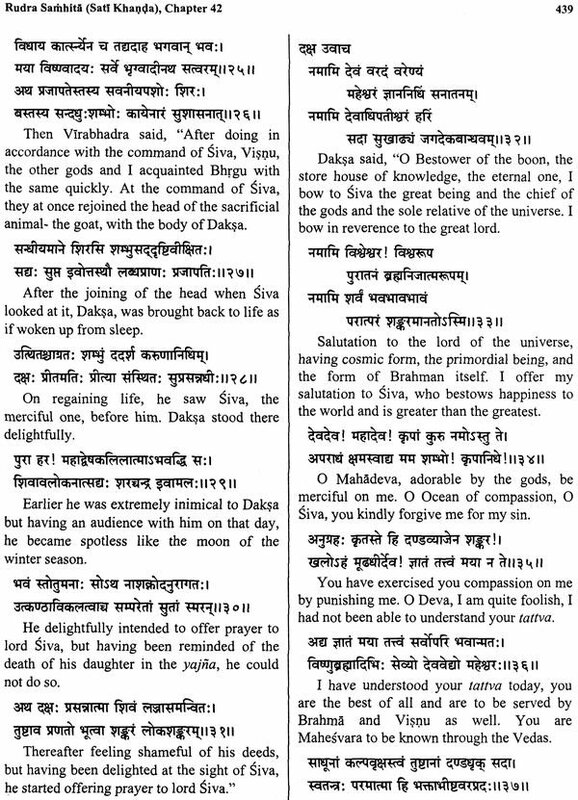 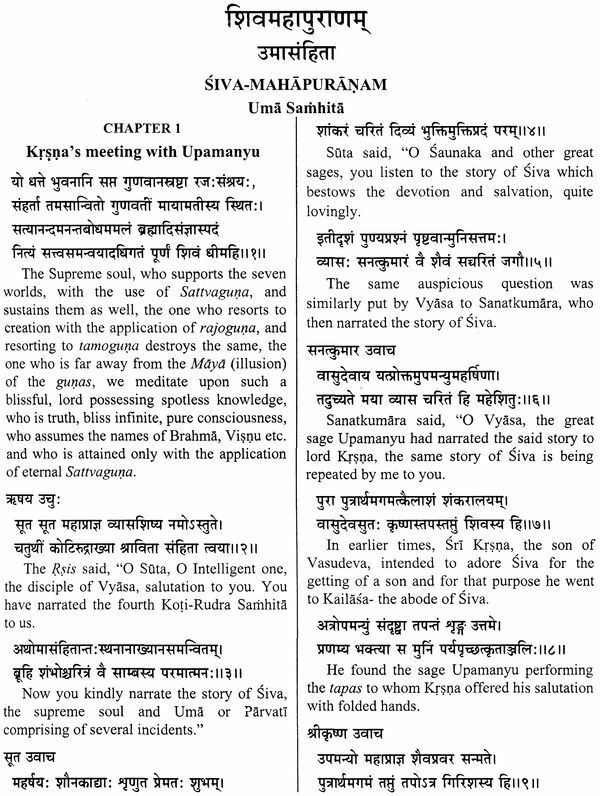 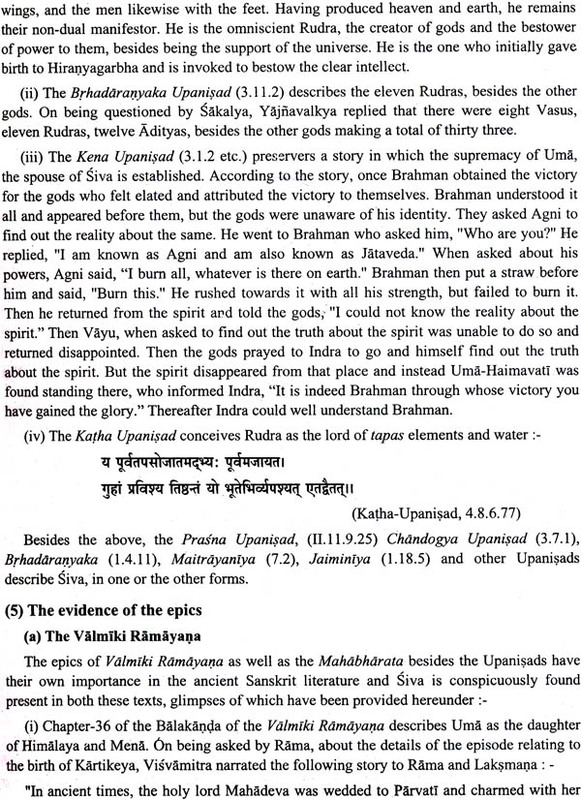 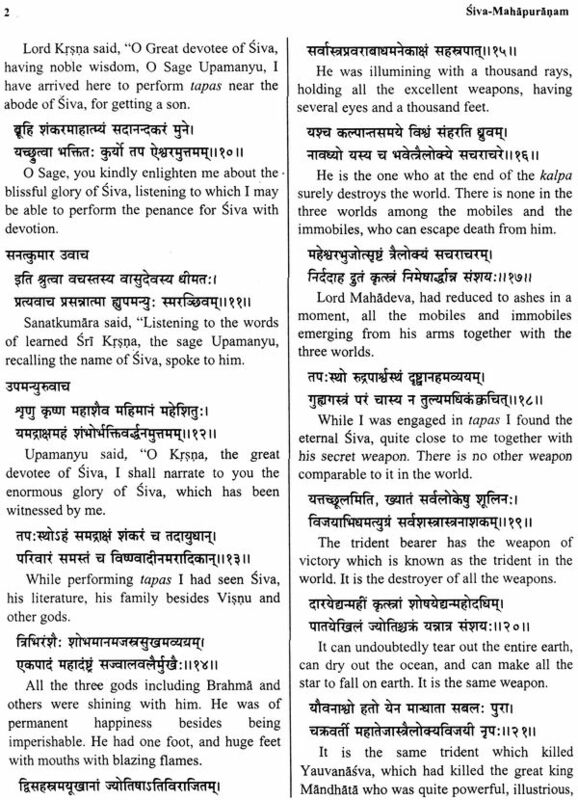 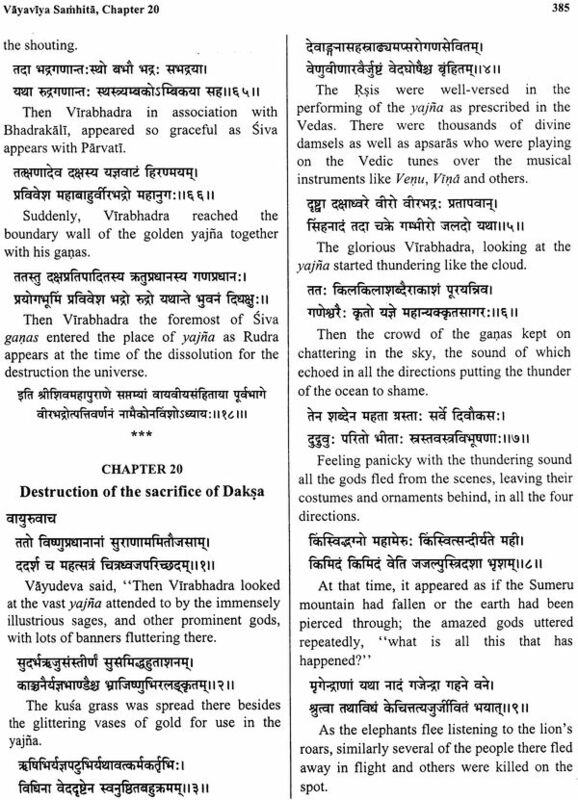 While bringing out the English version of the Siva Purana, a new element of correlating the main events, with the available archaeological evidence in the entire length and breadth of the country relating to the gods and the goddesses referred to in this Purana, have been illustrated on the basis of which it makes this work of a unique character.